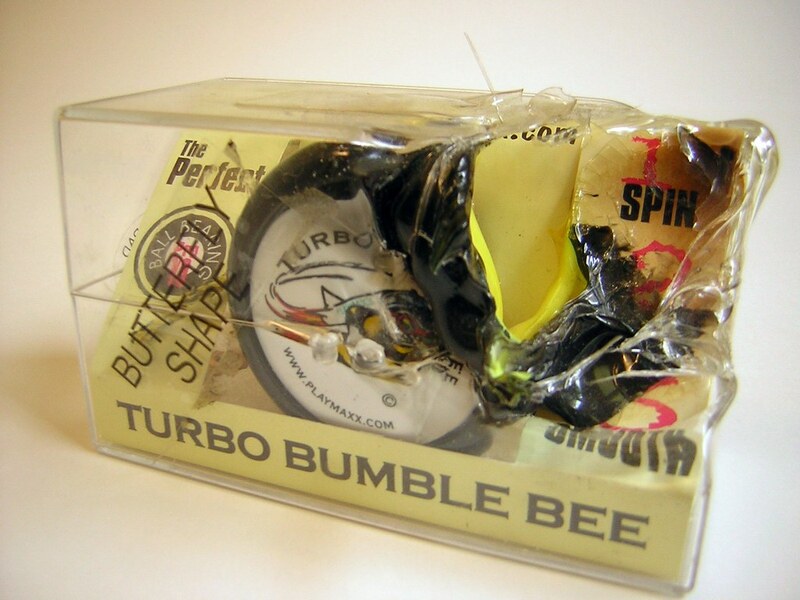 Back in the days when I still had the yo-yo store in St. Louis, we all loved the Bumble Bee GT. It was a favorite of all the staff, and one of our top sellers. I remember one day I was working the store when I noticed a young boy walking towards the booth carrying one of our product bags in his left hand. He was sheepishly approaching the store with his mom right behind him, she was nudging him on. “Hey buddy, what’s going on?” I asked. “Uh, I need to make a return.” He whispered. 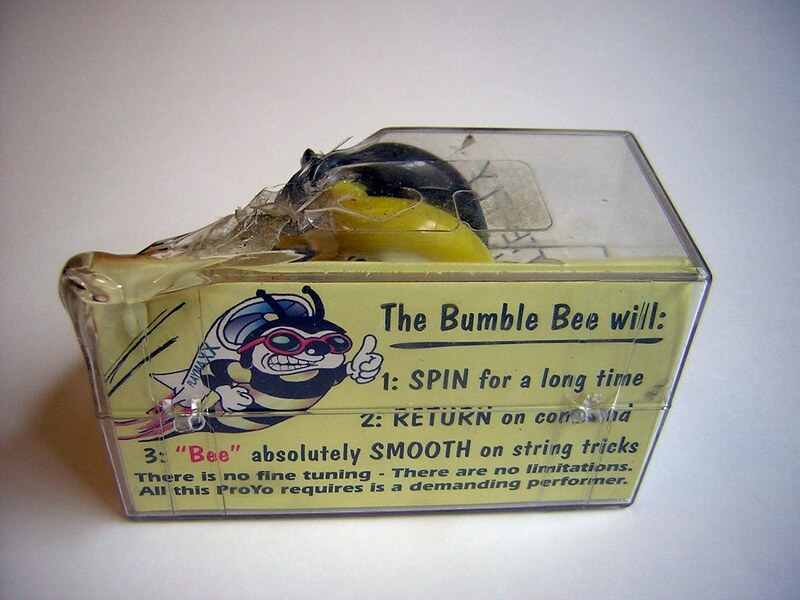 He reached into his bag and said “This yo-yo melts to easy.” He pulled out a Bumble Bee GT that was still in it’s package, but one side had been totally melted. Strings of melted plastic mixed together like oil paints on an artist’s pallet. He took me up on the offer, so I emptied up one of our glass display cases and I placed the melted Bee GT inside. Thus the “Broken ProYo Museum” was born. Throughout the next few weeks people would bring in their old broken Playmaxx yo-yos and we added them to the case. 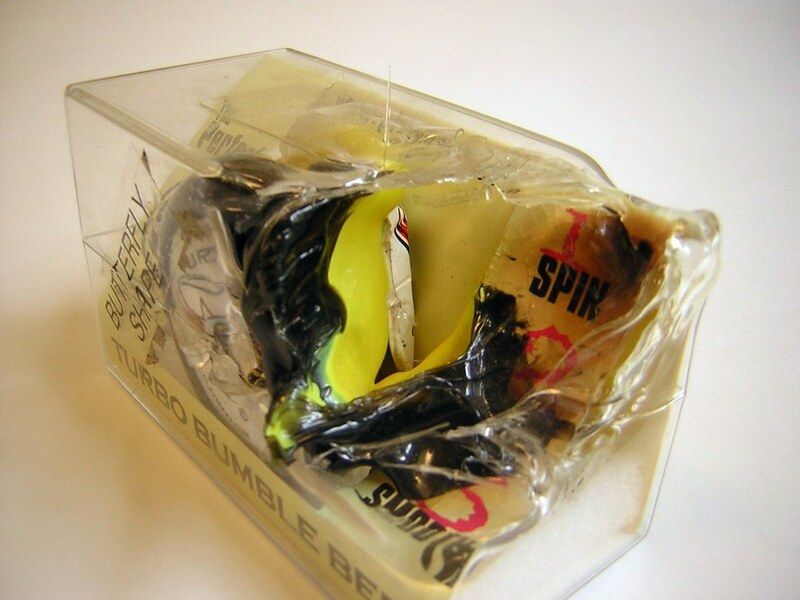 ProYo IIs, Vid-E-Yos, Bumble Bees, and even a Cold Fusion all made their way into the case. A couple more pictures I took of it. I love that this kids mom honestly though he deserved a refund for dropping a lamp on his yo-yo. And by “love” I mean “weep for the future”. The box still looks sealed. If in fact it is, the saddest part about this would be, that kid got a brand new butter bee and didn't even open it the first day he got it. Shameful.